Every time I talk to people about chai I get the impression that some people think chai spices are only meant to be enjoyed around the holiday season. 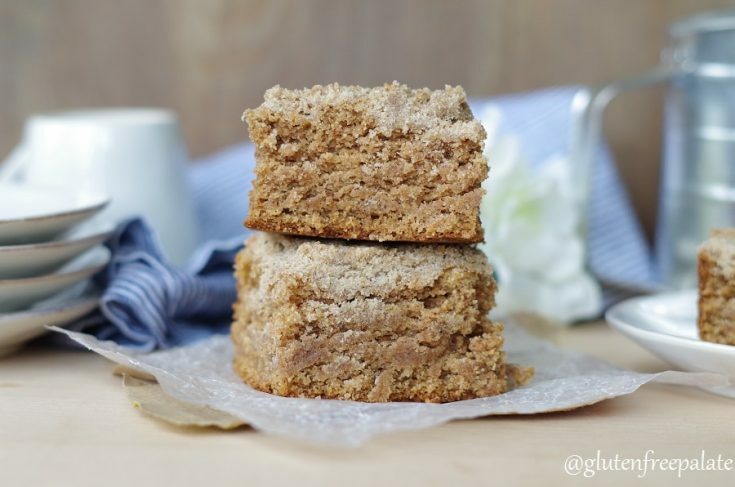 Chai spiced drinks and treats can be enjoyed any time of the year, including Gluten-Free Chai Coffee Cake. No need to limit the months you enjoy chai. I’m not sure if you remember that last year I made a series of gingerbread recipes? 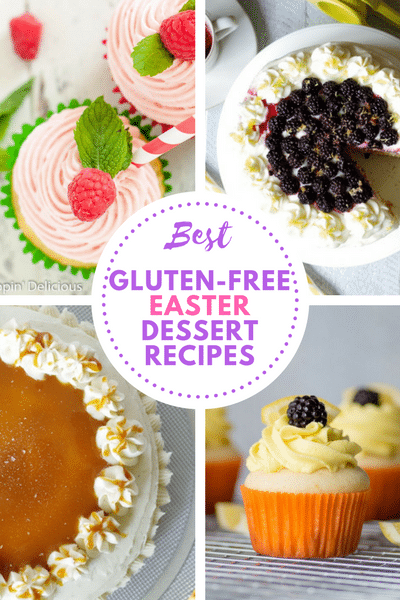 If you don’t remember, you’ll want to check out my Gluten-Free No-Bake Gingerbread Cheesecake, Gluten-Free Gingerbread Donuts, and my Gluten-Free Chocolate Gingerbread Bars. And if you’re vegan, or any of your loved ones are vegan, they will fan over my Gluten-Free Dairy-Free Raw Gingerbread Cheesecake. Well, this year I am focusing on chai recipes. I won’t have as many recipes with chai as I did gingerbread, but I do have a few to share with you. 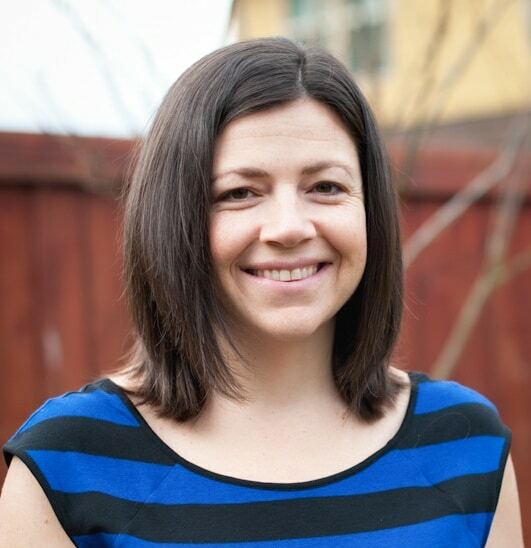 Next week I’ll share gluten-free chai baked donuts. So, don’t forget to come back. You don’t want to miss those. I drink chai tea all year round with honey and cream. Chai is my favorite combination of spices and I think that everything should come in a chai flavor, even chips. Well, maybe not potato chips, but coconut chips and sweet potato chips would be heavenly in chai. Don’t you think? 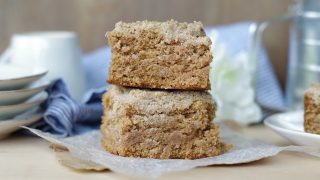 This Gluten-Free Chai Coffee Cake is wonderfully dense, perfectly sweet, and rocks the chai spices. It’s super simple to whip up and get into the oven and your house will smell amazing. I tested this recipe on my gluten eating relatives and they couldn’t tell that it was gluten-free. My kids ate the leftovers for breakfast until the only left in the pan were crumbs. And even then, they licked the crumbs up. Preheat the oven to 350°F. Grease and flour an 8x8 inch baking pan; set aside. In a medium mixing bowl, mix together the ingredients for the crumb topping with a fork; set aside. In a separate medium mixing bowl, mix flour, baking powder, baking soda, salt, cinnamon, ginger, and all spice. In a large mixing bowl, beat the butter until creamy. Add the sugars and vanilla and mix until smooth. Add in eggs one at a time, mixing in between each egg. Alternate adding in the flour and buttermilk, beginning and ending with the flour. Pour the batter into the pan and then crumble the crumb topping over the batter. Bake for 45 - 48 minutes, or until a toothpick inserted comes out with only a few crumbs clinging to it. 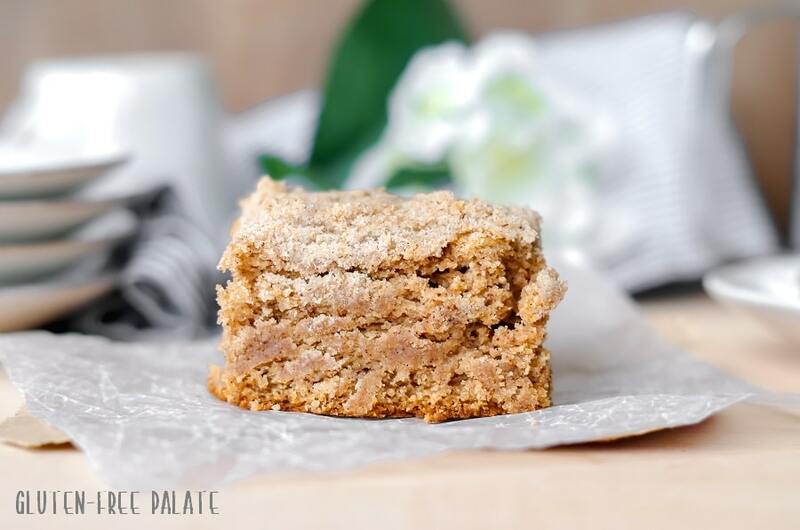 I am so happy with any type of coffee cake! One of the best special breakfasts! Thank you Rebecca 🙂 I agree. My boys and I are really getting into having tea after school. 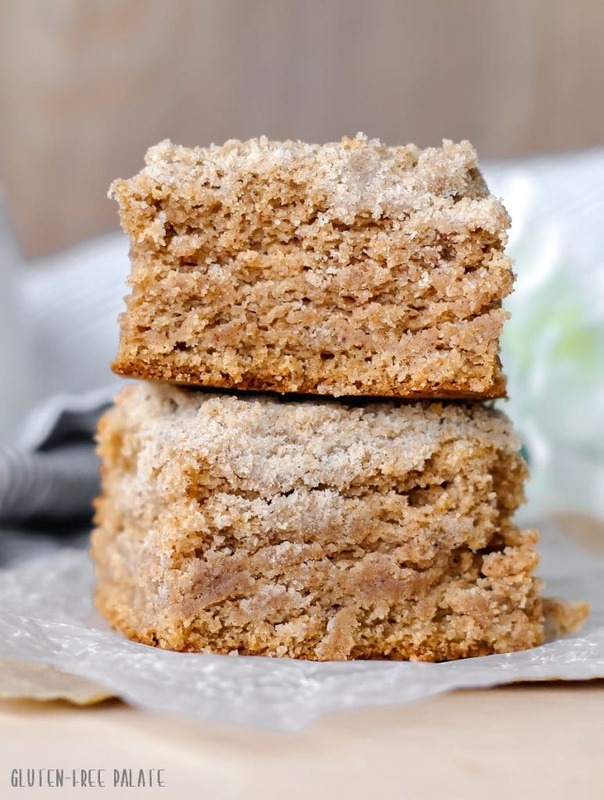 I can only imagine the “aaaaahhhhs” I’d get if I made this chai coffee cake for them to enjoy with their tea. I have never heard of RYZE flour … will look into it. Its 100% brown rice flour, super fine, and a great gf flour. Mmmm…this recipe looks delicious. I’ve never heard of RYZE Yellow Flour Blend. Do you buy it locally? This cake looks amazing! I can’t wait to try it out at my next brunch! Oh my goodness!! 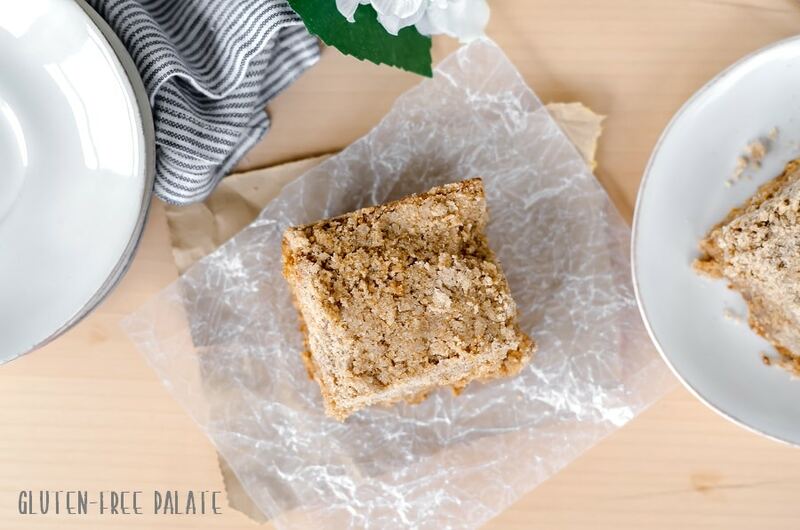 I love chai tea and coffee cake, this will definitely be at my Christmas brunch!! You had me at chai! Love anything with it! I’m a big fan myself 🙂 Thank you for stopping by. I’m a fan of chai tea, especially during the fall. These look simply delicious and I’d love to enjoy one of these with a cup of coffee on a nice relaxing weekend morning! Thank you Sarah. Have a great Holiday Season! 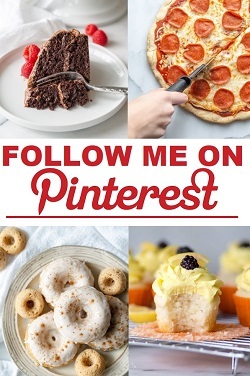 I have never baked anything with a Chi flavor, this sounds great, I sould try something fun like this! Perfect for the holiday season, too! Thank you Lindsey. You definitely have to bake with Chai! So comforting. This coffee cake looks unreal Chrystal! I can’t get enough spice flavors, and your chai blend looks spot on. Thank you Alisa 🙂 I do like my chai. You have my mouth watering! I love Chai, and this sounds phenomenal. Awe, thank you Georgianna. Have a great holiday season! This would be a perfect family breakfast treat, probably dessert for some people but not with my family’s sweet tooth! This is so moist and delicious that my little family of 5 devoured it in one morning during the week. I am a teacher and we love big breakfasts in the summer. It tasted wonderful. We had a neighbor over visiting and I gave him a slice and he was so surprised to find out it was gluten free, that is how good it was. Adding this to my gf recipes to make again. I should note that I used Bob’s Red Mill gf baking flour instead of Ryze. I made this cake for my mom’s birthday and it was absolutely delicious. The batter came up and covered the topping, which sunk to near the bottom of the cake so I dusted the top with powdered sugar to make it pretty. I will make this again! I’m so glad you enjoyed it. Thank you for stopping by and letting me know.